ESCANABA – An Escanaba man is closer to the possibility of finding his brother who was killed at Pearl Harbor in 1941 and bringing him back to the U.P. for burial. 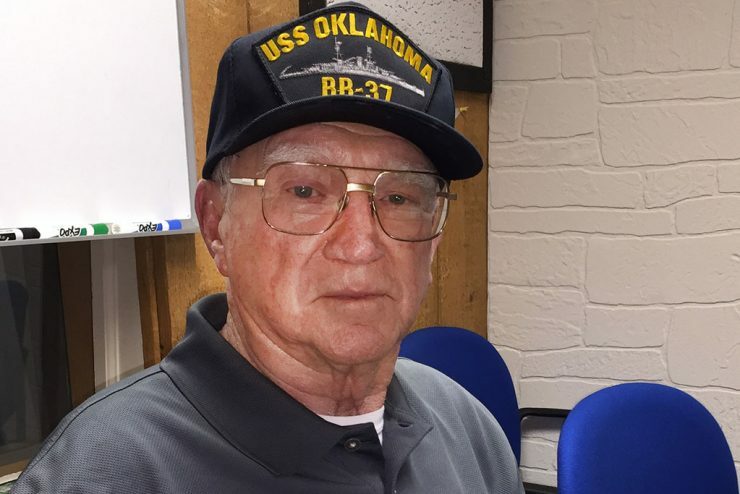 Bob Valley hopes that his brother Lowell is among the 388 sailors and Marines from the USS Oklahoma who were buried as unknowns after the attack on Pearl Harbor on Dec. 7, 1941. 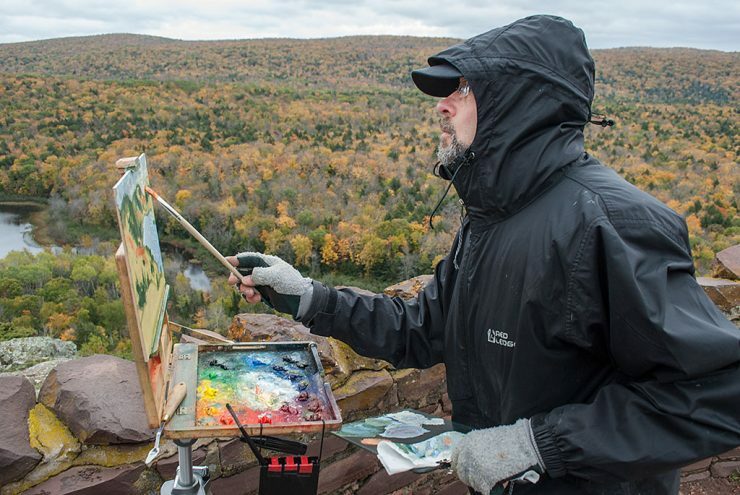 ESCANABA — Downtown Escanaba has a new character. 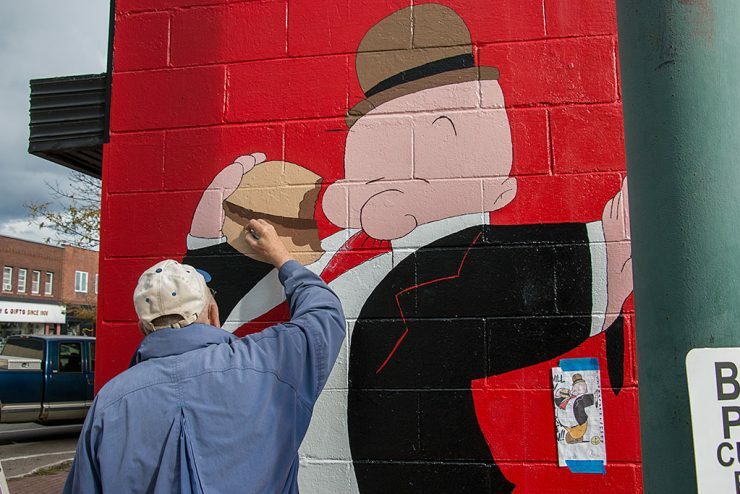 Wimpy, from the cartoon strip Popeye, has been painted on the side of Rosy’s Diner. George Hansen added the hamburger eating character after painting the outside of the building. He says he had a lot of fun adding the character. FAYETTE STATE PARK — A lot of people in the Upper Peninsula have notice the spectacular show that the Northern Lights provided this week. Many of the photos and comments have been shared on social media. 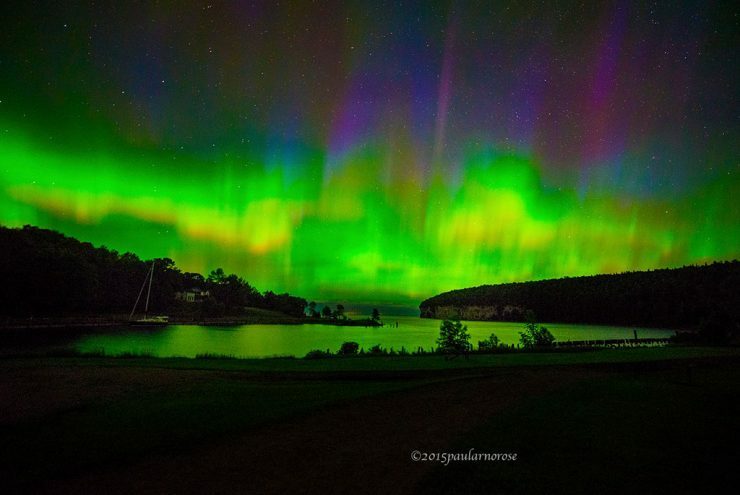 One photo posted by Paul Rose of Garden of the glowing sky over the harbor at Fayette State Park got a lot of attention. ESCANABA — A decision by the military to disinter 388 bodies from a cemetery in Hawaii could identify 14 of the 15 sailors from Michigan who died during the attack on Pearl Harbor in 1941 on the USS Oklahoma, including the brother of Bob Valley of Escanaba. HANCOCK – Ward Cole grew up in the company town of Painsdale in the Copper Country where he’s father worked in the mines as an electrician. 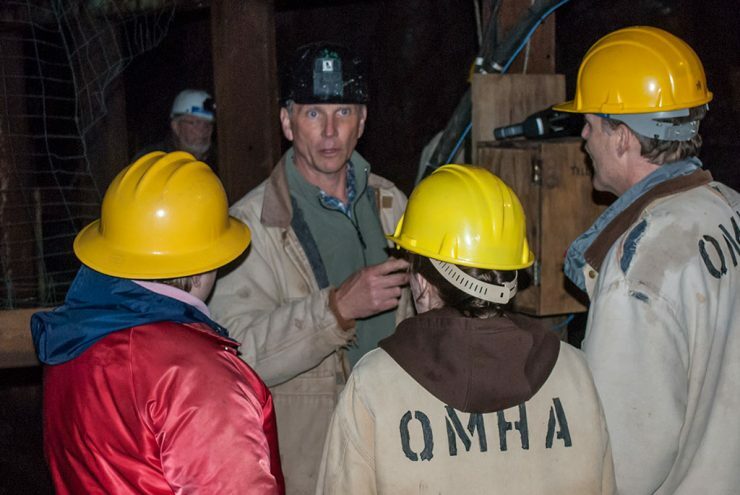 Although although he grew up with mining in the 1930s and 40s, a tour of the Quincy Mine in Hancock gave him a new appreciation for what his father did for living. 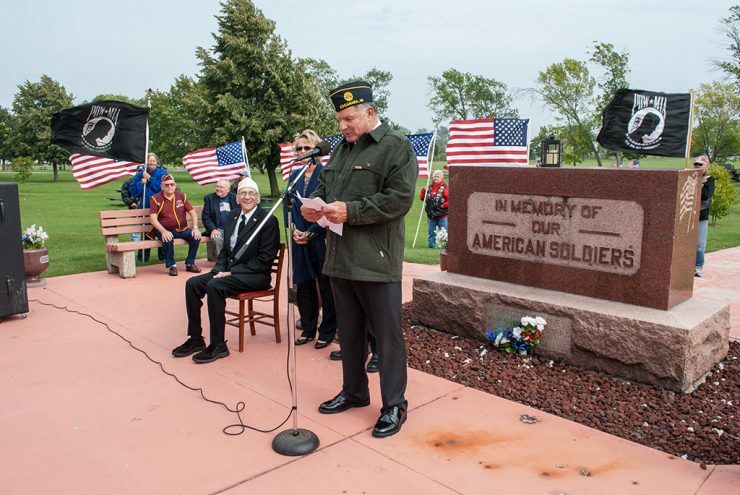 ESCANABA – Veteran groups and community leaders gathered Thursday afternoon for a POW/MIA Recognition Day program at the Delta County Veteran’s Memorial in Ludington Park. It included a special recognition from a son to his father, an ex-POW. 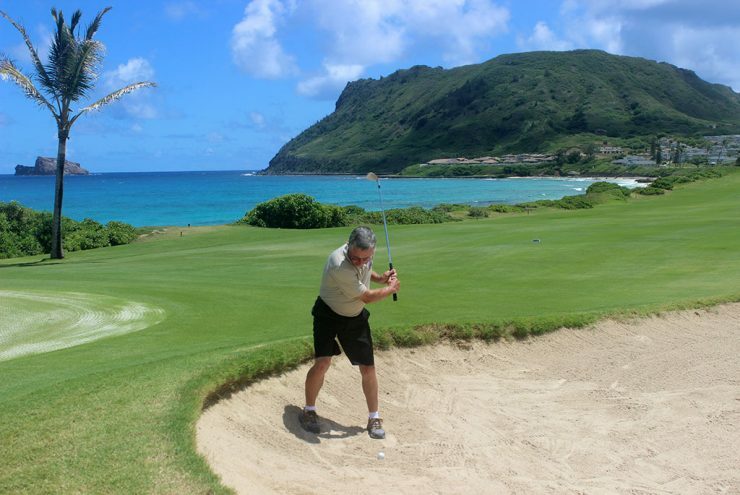 ESCANABA – Former sports editor Denny Grall has completed a goal to golf in all 50 states. He completed the 50th state last week on a trip to Hawaii. 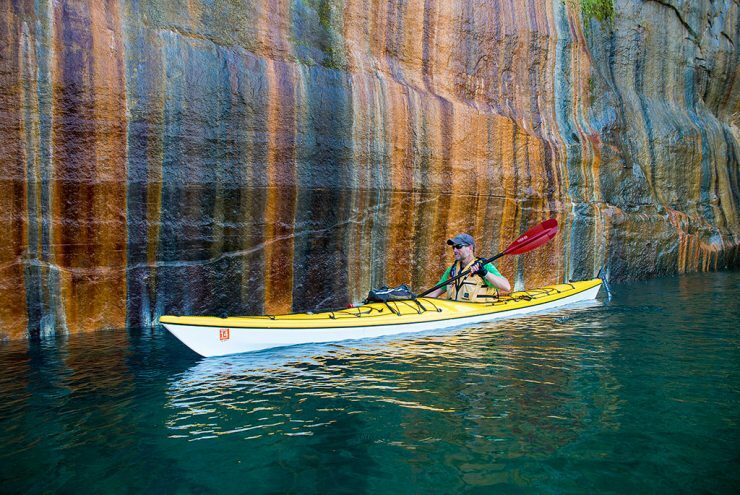 GRAND MARAIS – Matt Knudsen, 16, of Escanaba started out from Taquamonen Falls on August 7 and backpacked to Grand Marais along the North Country Trail in five days. 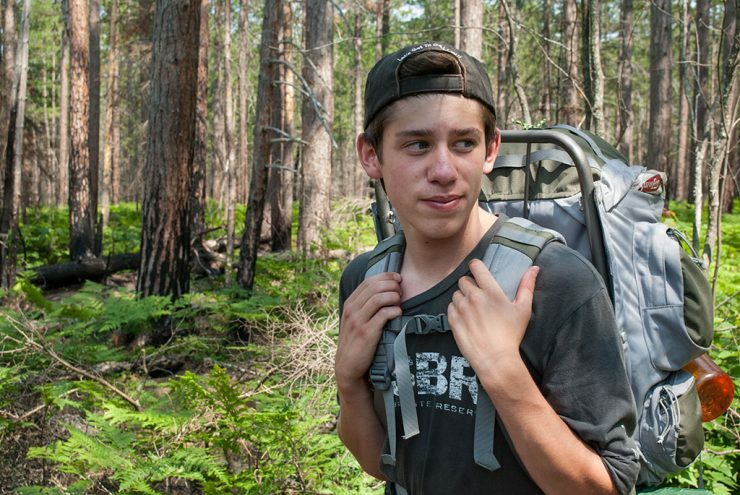 The more than 50 mile backpacking trip with his Boy Scout Troop took him through the burned area of the Duck Lake Fire along Lake Superior.